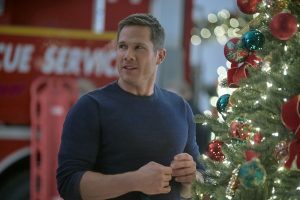 One of the things we love about the Hallmark Christmas season is that our old favorites come back around on repeat and if we’re really lucky, the folks we adore do a new film so we get even more opportunities to see them now and in the holiday seasons going forward. 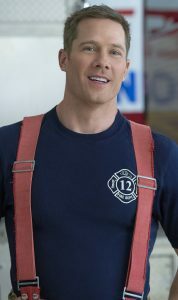 We were thrilled to find Luke Macfarlane added to the new class of movies (thanks, Teri!) for his fourth Christmas movie in a row. This year, he’s back on Hallmark Channel in the charming A Shoe Addict’s Christmas, adapted by Hallmark regular Rick Garman from the novel by Beth Harbison and premiering Sunday night. Earlier this week, I spoke to Macfarlane about the film, switching gears after wrapping Killjoys, and what’s next. He also has an excellent suggestion for your Black Friday and Cyber Monday gift buying! 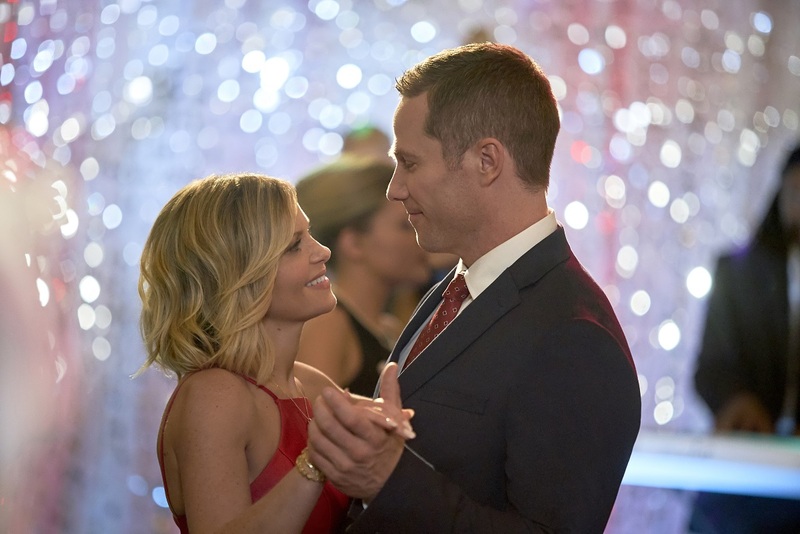 In the film, which is actually closer in tone to the movies that are usually on Hallmark Movies & Mysteries, Candace Cameron Bure plays Noelle, a department store HR manager who’s drifted from the meaning of Christmas since the death of her mother and an ill-timed breakup. 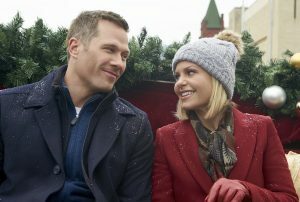 She’s paired with Macfarlane’s character, a firefighter named Jake, to help plan the annual Christmas gala to benefit the firehouse. When his vision is a bit at odds with that of the store’s owner (Maria Ricossa), she has to navigate a balance that satisfies both. 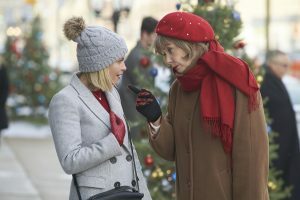 Even with that on her plate, she still isn’t quite feeling the reason for the season until Jean Smart‘s character, the mysterious Charlie, arrives to give her a magical opportunity to right past wrongs and course correct. That helps her relationship not only with Jake, but her dad (Dan Willmott), her BFF Lorna (Tenika Davis), and herself. 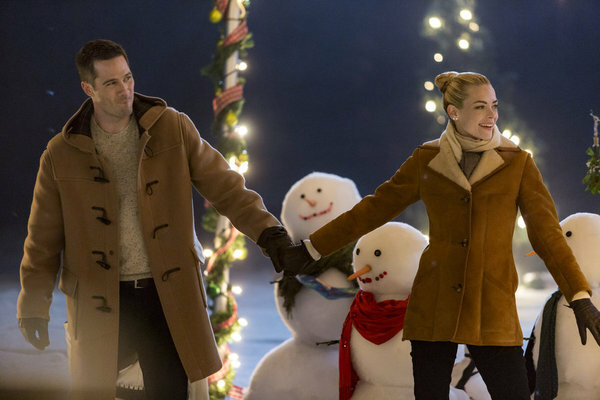 It’s a really sweet story with just enough whimsy to land itself on Hallmark Channel. Macfarlane and Cameron Bure have a lovely, easy rapport together and Smart is just pitch perfect. 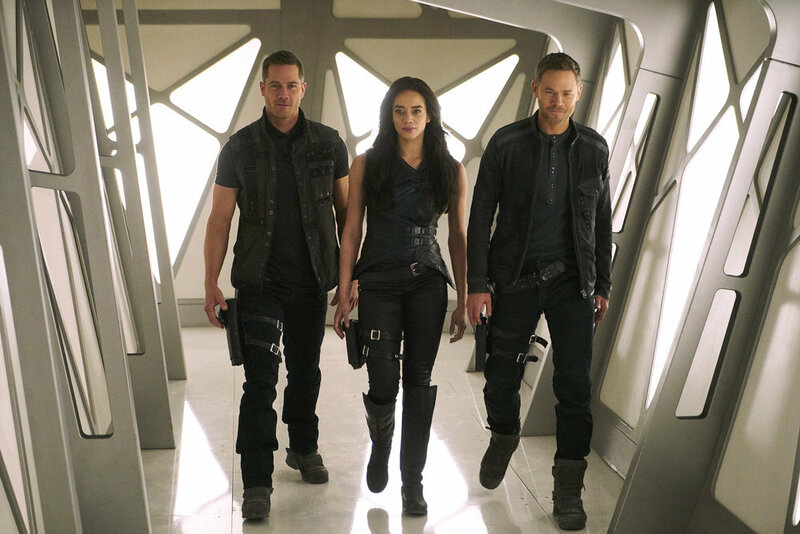 Killjoys finished filming in late September, and Macfarlane flew immediately from Toronto to Winnipeg, where filming was already underway on A Shoe Addict’s Christmas. 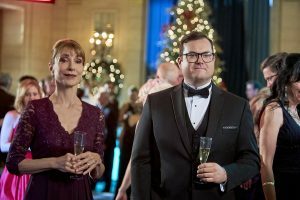 He loved re-teaming with his Maggie’s Christmas Miracle director Michael Robison and was honored that executive producer and star Cameron Bure invited him to join the cast, which also features fan favorite and Orphan Black alumn Kristian Bruun. “It came at the end of Killjoys and the day after I finished, I started filming. I read the script and it was really great. I know that Candace had a very clear vision of what she wanted this to be. I was very flattered when she wanted me to be in it,” he says. Shooting in Manitoba was also a treat for Macfarlane, a self-confessed architecture fan. “It was my first time in Manitoba. I’m embarrassed to say I’ve been to more states than I have provinces. I enjoyed it very much,” he explains. 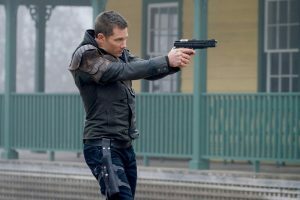 We didn’t talk about the final season of Killjoys since that’s still several months away from airing, but Macfarlane reflected on Season 4. With some distance on it, he realizes that it took a little while to get into the rhythm of D’avin again when they started production last winter, especially given that the cast and crew were about to tackle an extended, back-to-back, block-shot double season that would require being away from home for several months. He acknowledges that D’av went through quite the wringer this year and that the early scenes in that season when Aaron Ashmore just went for it as Hullenized Johnny were difficult to shoot. “They kind of love kicking D’avin the balls. I don’t know what that is. I didn’t mind doing it,” he says. He was excited about the end of season 4, which hit the reset button hard, and how it opened up new possibilities and a return to form for D’avin in Season 5. “I remember being really, really excited [when I read that script]. I remember feeling like there was something about [going back to] where the show began and who D’avin was,” he explains. Since Macfarlane plays a firefighter in A Shoes Addict’s Christmas, and the current fires in California have literally hit close to home, he started a fundraiser to time with the premiere. He also has a personal connection, from their intervention when he lost a workshop behind his home to a fire a few years ago. 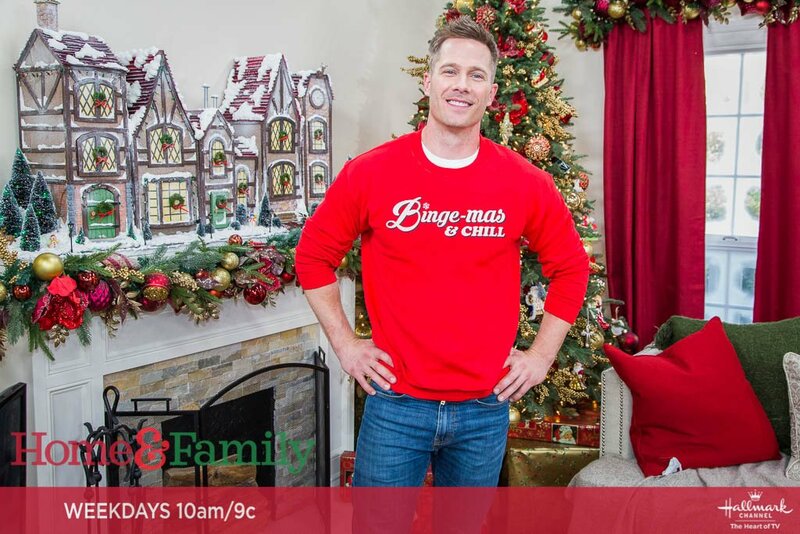 “For the Christmas movie, and because the fires have devastated so many of my friends, I had this very silly ‘Bingemas & Chill’ t-shirt made up,” he shares. Ts, sweatshirts, and hoodies are available now through the 29th, and all proceeds benefit the California Fire Foundation, which provides emotional and financial assistance to families of fallen firefighters, firefighters, and the communities they protect. 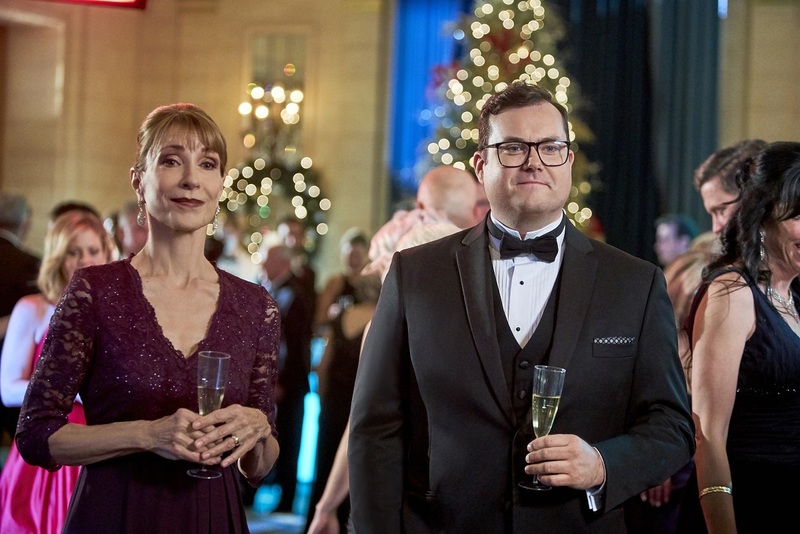 A Shoe Addict’s Christmas premieres Sunday at 8/7c on Hallmark Channel and repeats through the end of the year.